Programmes Director Noel Mallia kicked off his broadcasting career in 1973 when he co-hosted “Spazju” a rock show on Rediffusion Malta, with life long buddy Brian Micallef. He later presented the Breakfast Show and other programmes on this station. 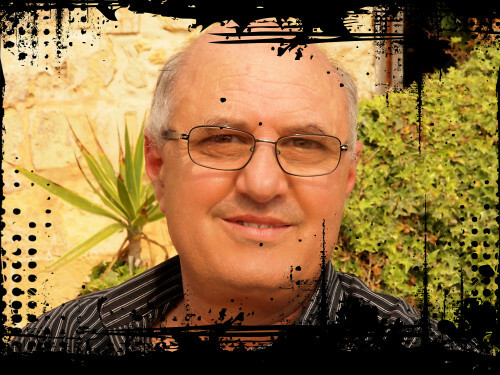 Having moved to Radio Malta in the mid-seventies Noel produced and presented “Rockfile” .In 1991 Noel was a prime mover in the establishment of Radio 101 and during his 19 year stint with the station , he hosted amongst others, award winning programmes “Rockfile 2”, “Is-Snin Tar-Rock n Roll”, “Rock CV” and “Minn Liverpool Sa Abbey Road”. 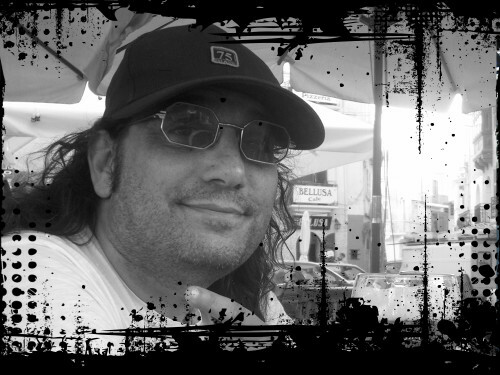 From 2000 to 2010, Noel Mallia was Station Manager at Radio 101.In 2010 Noel Mallia achieved his lifetime goal of setting up Malta’s first rock station “All Rock” on the new DAB+ platform. 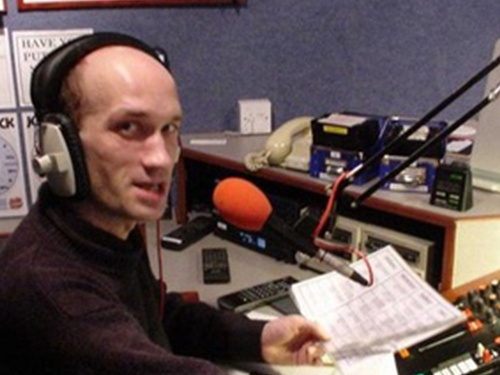 As Programmes Director, Noel is responsible for the station’s music content and all it’s operations. 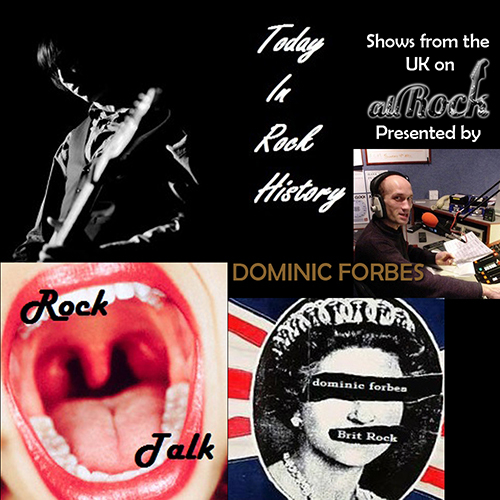 He also produces and presents “Rockfile 2” and “Rock Ritmu u Roll”.In his career as a broadcaster, Noel with six Broadcasting Authority awards under his belt, has interviewed some of the biggest names in rock’s firmament including Duff Mc’Kagan and Dizzy Reed of Guns n Roses , Phil Collen of Def Leppard, Barclay James Harvest, Steve Hackett (Genesis) Ian Anderson (Jethro Tull) Robert Fisher (Willard Grant Conspiracy) and Roger Hodgson (Supertramp). Noel started his broadcasting career some years back with various local stations. 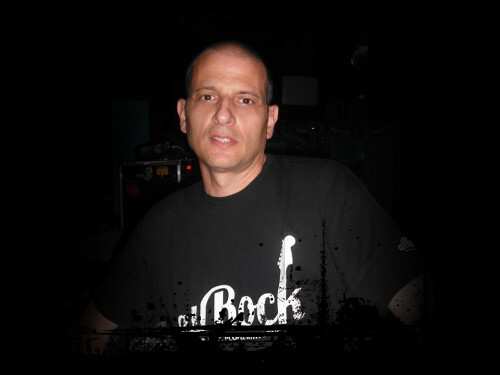 He joined All Rock in 2010 and hosts the English language weekly “Rock The Boat”, a programme that enshrines his listening philosophy of giving anything a try. As far as I can remember I was always listening to music. We always had the radio on at home and I remember listening to it before and after school. I also remember listening to Rock File presented by Noel Mallia, and today it is an honour to work with him. I started presenting on radio in the early 90’s on Super 1. Come mid 90’s I moved from radio to rock clubs, with the longest stint being the Harlequin Rock club in Paceville. When my eldest was born I went into semi retirement, where although, still ever present in the Maltese bands’ live scene, I put away my headphones, only to bring them back out in 2009. Joe Tanti asked me and Marc Tanti to co host the rebirth of his show Rock Moods on ONE Radio. Joe and Marc left the show in my hands some months later and till summer 2011 Lito co hosted the show with me.Today Rock Moods is solely hosted by me every Thursday at 8.45pm. A show featuring everything that falls under the rock umbrella without any discriminations. 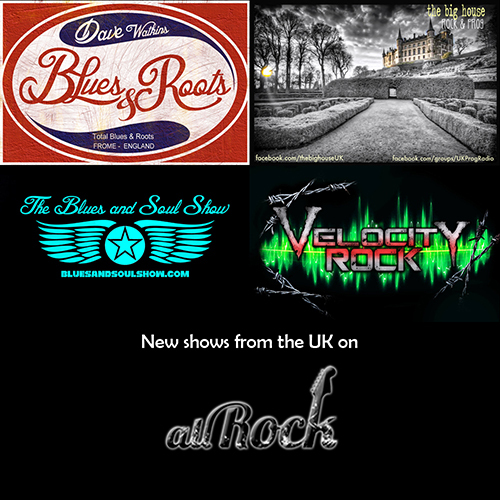 Musicians who guested on the show are many but most memorable must have been Deborah Bonham, Andy Barnett (FM) and Tino Troy (Praying Mantis), Greg Mackintosh (Paradise Lost) and lately Peter Svensson and Erika Welberg (Void Moon). In the meantime, in March 201,1 I also commenced to present Heatstrokes, a metal show on Allrock every Monday at 8pm with repeats on the same night at midnight, on Friday at 10pm and Sunday at 7pm. As I see no need to put tags on music, I play from all aspects of metal. 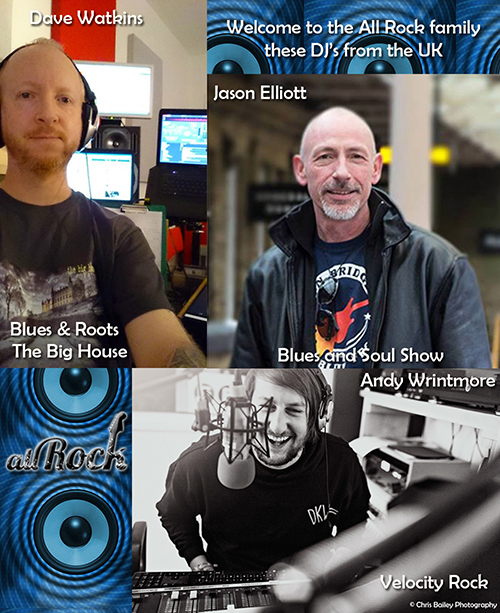 During these past two years, apart from the numerous local artists to feature on both shows, I am happy to have had Luce (Hooded Priest), Kory Clarke (Warrior Soul) and Bram Bijlhout (Officium Triste/11th Hour) amongst others.I am also the co founder of a group named Prog The Islands (https://www.facebook.com/progtheislands), a group aiming to help Maltese artists by organizing events and merchandise distribution.This year organizing the third prog meeting on the 7th December at V-Gen entitled A Prog Wintry Night with local bands Saneless Feel, Different Strings and Colourblind. Also in my curriculum I must add the management of Colourblind, officially since 2011. During 2012 I have also been asked to help in the organization (visual and media section) of this year’s MDM to which Allrock is the official radio station, as it was for the Extreme Metal Festival and Malta Deathfest. Rock music is this guy’s passion, from the 60s to today. He saw Guns ‘n’ Roses before they were famous, and once nearly got knocked over by Sharon Osborne at an Ozzy concert. Another claim to fame is that he was an extra in the Monty Python film ‘Jabberwocky’. He’s been in radio since Noah was in his Ark. If there’s a song he doesn’t know, it’s likely it’s not worth playing. He makes Jack Black look like a boy band member. Tonio belongs to the first wave of independent music lovers, that is followers of early 1980s New Romantic music, electronic experiments and, of course The Smiths, Echo and the Bunneymen, Joy Division and The Cure. He started deejaying at the age of 16, by organising the New Romantic Nights in the early 80’s. He deejayed on commercial radio stations in the 90’s but could not play the music he really loved. Tonio formed Friday PM in 1994 with the idea of playing indie/alternative music, a style virtually non existent in the Maltese scene back then. Friday PM lasted 6 years but was back again lately thanks to a transitory reunion where they laudably headlined Rock the South 2015. He attends various foreign indie festivals meeting musicians backstage such as David Gedge from The Wedding Present. 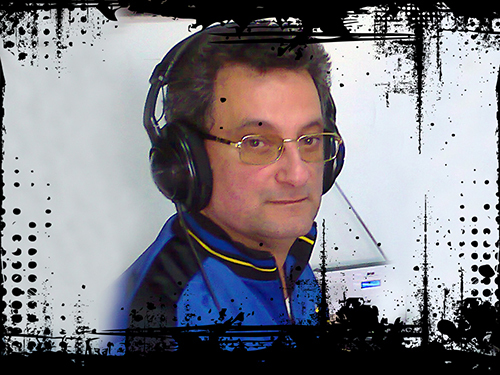 Tonio joined All Rock DAB+ radio in 2011 to present his radio show ‘Reverb’ which features the best in Indie/Alternative sessions. DJ Tonio Pace aims to bring to his listeners independent music from around the world, with emphasis on our own backyard. Reverb is a weekly two-hour program which offers the best in Indie / Alternative sessions on DAB+ Radio … Reverb is aired on Sundays @ 15:00; Mondays (rpt) @ 22:00; Wednesdays (rpt) @ 13:00 & Saturdays (rpt) @ 13:00. I have been producing and presenting music programmes on rediffusion, Fm Bronja, 106.6Fm, Radio Malta and All Rock since the early seventies and have always strived to emphasise the production of good quality and informative presentations.I started with my ‘All Rock’ colleague Noel Mallia together presenting one of the first rock programs in malta – what a great time for rock! !.Two of my programmes, ‘Rock Express’ and ‘Grinta’, have been transmitted since the beginning of the nineties and were always received well by our listeners.I have presented programs relating to rock, blues, soul, heavy metal, r&b and pop music.I am very respected by the local music scene and the people/artists that gravitate around it. Groups like Deep Purple, Black Sabbath, Iron Maiden and Saxon to name but a few, apart from nearly all the local groups/artists, have been present at my studios ‘live’ many times.I have been chosen, as the only Maltese person to judge the preliminaries of the Maltese song for Europe (Eurovision) held in Malta in 2002 and i was a judge at the ’Battle of the Bands’ at St Aloysius’ college for many years. I was also asked to judge the ‘Battle of the Bands’ at the Oktoberfest in Naxxar.My knowledge of the contemporary music scene, since the early sixties until today is an asset to All Rock and I have the advantage of having ‘lived through these historic music years’. A rock afficionado since childhood, Maurice Cachia was raised on a diet of the Beatles’ “Sgt Pepper’ Lonely Hearts Club Band” and late sixties psychedelic rock. His first album purchase was Pink Floyd’s “Dark Side Of the Moon”. 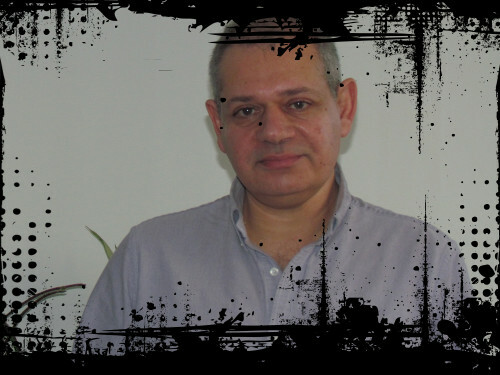 All Rock’s expert on all things prog and psychedelic, Maurice contributed to programmes hosted by Noel Mallia on Radio 101.On All Rock Maurice produces and presents the weekly “Classic Albums” and has co–hosted “Prog Nation” and “The Psychedelic Years Revisited” with Noel Mallia.